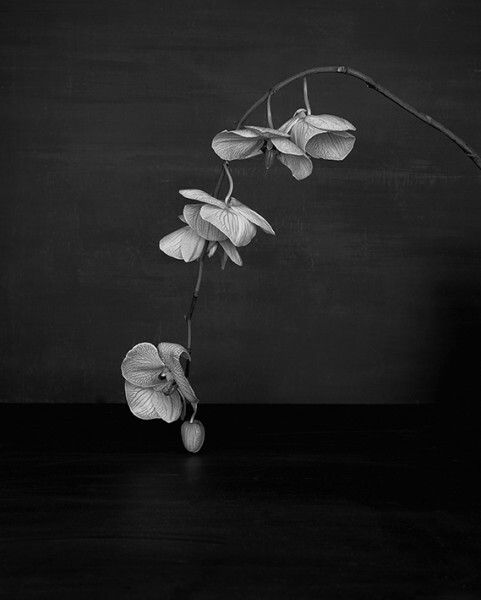 Sarah Jones, Cabinet (XI) (Orchid), framed c-type print from black and white negative, unframed 60 x 48 cm, edition of 5 + 1 AP, 2014. Image courtesy the artist and MAUREEN PALEY, © the artist. 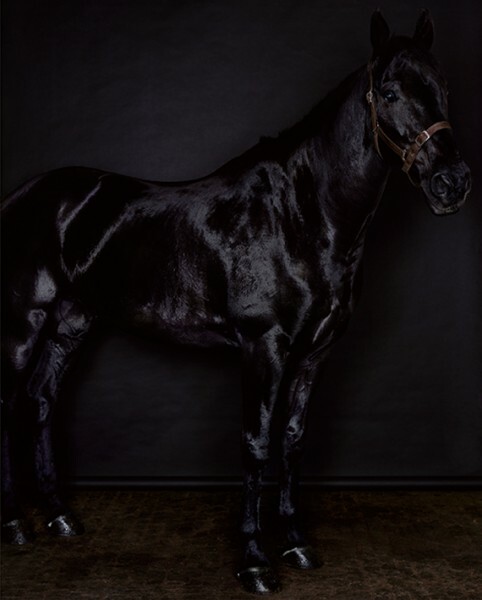 Sarah Jones, Black Horse (Profile) (Black) (II/I), framed c-type print, unframed: 152 x 122cm, edition of 5 + 1 AP, 2010/13. Image courtesy the artist and MAUREEN PALEY, © the artist. 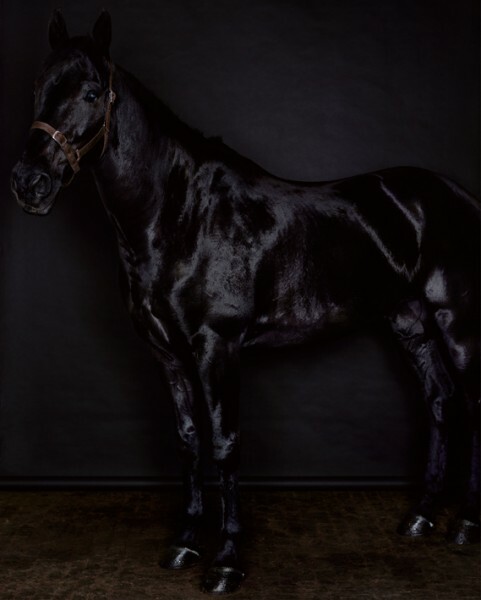 Sarah Jones, Black Horse (Profile) (Black) (II/II), framed c-type print, unframed: 152 x 122 cm, edition of 5 + 1 AP, 2010/13. Image courtesy the artist and MAUREEN PALEY, © the artist. Sarah Jones is at the top of her game. No question. In her sixth show with Maureen Paley in Bethnal Green she demonstrates a technical mastery and the finely tuned sensibility for composition that are the product of years of assiduous work. It is worth noting here too that this is one of the most beautifully hung shows I’ve seen in some time. So this is the black show; if I list the subject matter here it might look a bit vanilla: flowers; vases; paper weights; a horse. But let me be clear: this is black on black with all the toughness of Malevich’s Suprematist black square (1915), and the fierceness of Siouxsie Sioux’s black eyeliner, circa 1983. There is a punkish, rock ‘n’ roll swagger in such a total commitment to an all-black show. Ad Reinhardt, he of the black paintings that were a defiant reposte to 1950s AbEx, said: “There is a black which is old and a black which is fresh. Lustrous black and dull black, black in sunlight and black in shadow.” Sarah Jones is showing her photographs unglazed so that you can stand in front of them and wallow in the saturated inky-blackness of the prints, undistracted by glass, while you interrogate the image. In the ground floor gallery is a diptych of a horse: presumably the same image, flipped to reverse it. The doubling distances you from the image and forces a more formal appraisal of the subject. This animal is a softly gleaming thoroughbred, as sleek and glossy as a brand new Porsche Carrera; you cannot produce an image of a horse without, even extremely obliquely, invoking a long art history of equestrian paintings. Jones’ horse – twinned, reversed, repeated – conjurs thoughts of an alchemist’s black mirrors more than Stubbs or Munnings. Mirroring and repeats continue through the show with minutely different treatments of the same composition of glass paperweights on a table. The poise of the composition is infinitely pleasing, with reflections precisely positioned to appear to balance on horizontals in the table surface; and looking deep into the glass you can discern the reflection of the room behind the photographer. Jones’ flowers, whether cut, dried and bound and balanced on the lip of a vase, or a quiveringly fresh stem of orchids as finely lined as the most detailed drawing, recall the late Robert Mapplethorpe for their unsentimental acuity of vision. One notices when an opening is attended by lots of artists. Monday’s opening and the dinner afterwards at the charming Oui Madame in Dalston was a roll call of some of the most interesting young photographers working in London today. It speaks to the great respect that Sarah Jones commands among her peers. Go along this weekend and see why. That is a direct order.